Being in the produce business, it is staggering to see the amount of waste generated because an item has a less than perfect appearance. In light of the drought and recent heat waves in California I have been thinking a lot about the fate of our future food supply. At Berry Man we are passionate about efficiency. We do our very best to prevent waste. We try to educate our teams and customers about the importance of looking past scars or imperfections in our produce supply. 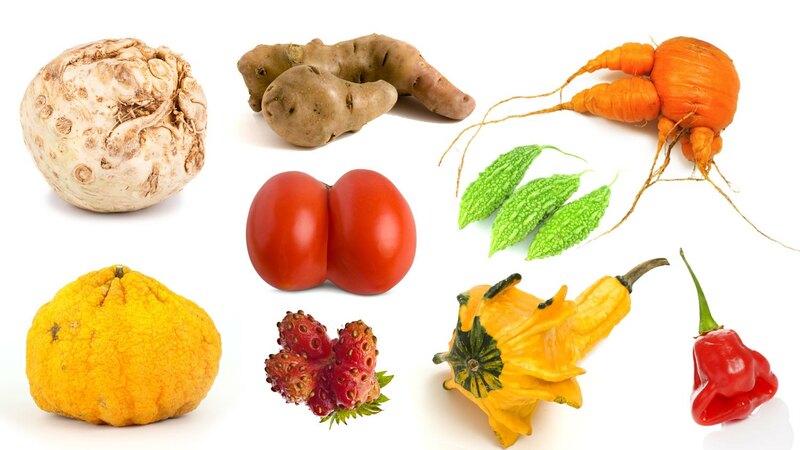 The demand for perfection in produce has a negative impact on all levels of the supply chain. Farmers sometimes abandon entire crops for blistering or peeling caused by the sun. The visible imperfections are rejected at the retail level. That means a farmer has no choice but to throw out sometimes thousands of pounds of food. I can’t tell you how my heart breaks when I see a case of apples returned because they are scarred or discolored. We cannot sell returned product. Despite it being perfectly edible it will be destined for the trash unless we beat the window of time to donate it to the facilities that feed those in need. To me, it is a crime to throw away perfectly edible food just because it’s not beautiful. I’m not going to lie, I too have been guilty of favoring the shining, glistening stuff. Working at Berry Man opened my eyes to perceive the world of flavor rather than eye appeal. I began learning about how such “defects” were actually nature’s way of protecting it’s offspring. In winter artichokes become “frost kissed” by the cold. Ocean Mist brand artichokes has to do a tremendous amount of marketing to explain this unavoidable and natural annual occurrence. We also have to assure people that it is not a defect and that once cooked they will return to their bright green color. I was amazed the first time I ate a misshapen, uneven scarred apple. It was one of the sweetest ever. That apple had a scar because it has been burned by the sun, resulting in more concentrated sugars, thus sweeter than others. So next time you are standing in the produce aisle digging for the best looking apples or reaching to the back because you think its better back there, do the opposite look for the one that is not so pretty. If we are able to see embrace the imperfections perhaps we will realize that everything mother nature provides truly is beautiful and that we should respect and appreciate all of her gifts. I really believe that if we stop pursuing perfection we will reduce the waste in the world. Each of us can make a difference. After all, you know what they say: “beauty is only skin deep”.